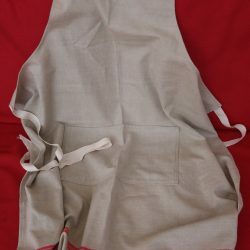 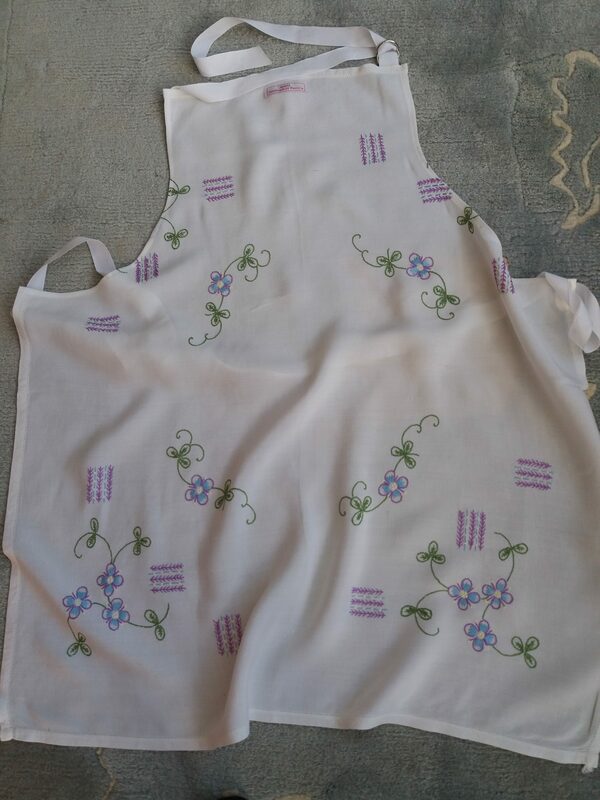 Apron made from a hand-embroidered vintage linen tablecloth. 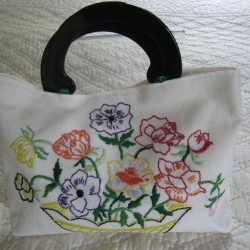 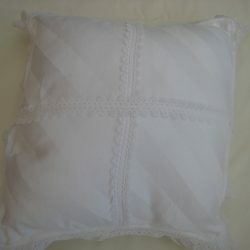 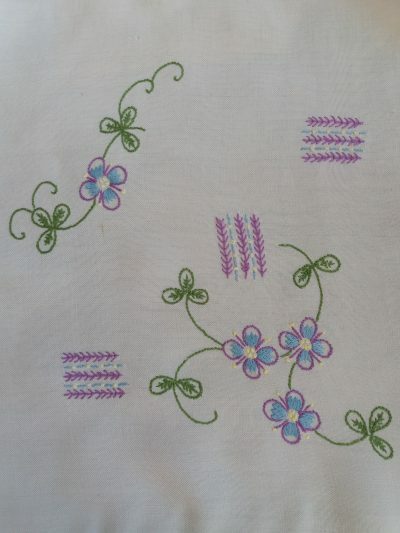 Lovely embroidery with lilac and green flower pattern. 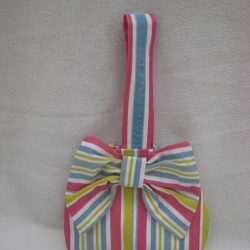 White tape waist ties and white tape neck ties with d-ring adjustment.